Our September 2008 exhibition features a series of albumen cabinet cards by famous Viennese Studio Adele. 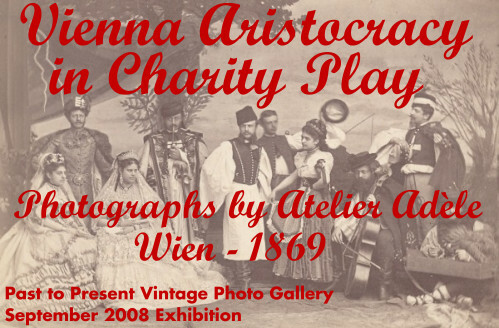 The photos relate 4 special performances to benefit widows and orphans victims of Radetzky, in March 1869. The subjects we plan to showcase next are pre World War I Aviation and World War II.